The author of Midnight's Children discusses Two Years Eight Months and Twenty-Eight Nights with A. M. Homes. 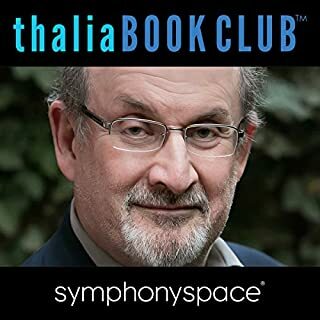 Rushdie's novel is a masterpiece about the age-old conflicts that remain in today's world, and an enduring testament to the power of storytelling. When Maximilian Ophuls is murdered outside his daughter's home by his Kashmiri Muslim driver, it appears to be a political killing. Ophuls is the former U.S. ambassador to India and America's leading figure in counter-terrorism. But there is much more to Ophuls and his assassin, a mysterious man calling himself "Shalimar the Clown", than meets the eye. One woman is at the center of their shared history, a history of betrayal and deception. The Ground Beneath Her Feet is Salman Rushdie's boldest imaginative act, a vision of our shaken, mutating times, and a brilliant remaking of the Orpheus myth. Rushdie is also the author of Midnight's Children and The Satanic Verses. Saleem Sinai is born on the stroke of midnight on 14th-15th August 1947, at the exact moment that India and Pakistan become separate, independent nations. From that moment on, his fate is mysteriously handcuffed to the history of his country. But Saleem's story starts almost 30 years earlier, when his grandfather, Dr Aadam Aziz, falls in love with a woman concealed behind a perforated sheet. In the 18th century, India's share of the world economy was as large as Europe's. By 1947, after two centuries of British rule, it had decreased six-fold. Beyond conquest and deception, the Empire blew rebels from cannons, massacred unarmed protesters, entrenched institutionalized racism, and caused millions to die from starvation. British imperialism justified itself as enlightened despotism for the benefit of the governed, but Shashi Tharoor takes on and demolishes this position, demonstrating how every supposed imperial "gift" was designed in Britain's interests alone. Once the line between worlds is breached on a grand scale, Dunia's children and others will play a role in an epic war between light and dark spanning a thousand and one nights - or two years, eight months, and 28 nights. It is a time of enormous upheaval, in which beliefs are challenged, words act like poison, silence is a disease, and a noise may contain a hidden curse. 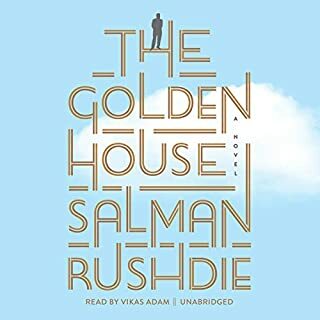 Inspired by the traditional "wonder tales" of the East, Salman Rushdie's novel is a masterpiece about the age-old conflicts that remain in today's world. Two Years Eight Months and Twenty-Eight Nights is satirical and bawdy, full of cunning and folly, rivalries and betrayals, kismet and karma, rapture and redemption. "This is a story from our past, from a time so remote we argue, sometimes, about wither we should call it history or mythology. Some of us call it a fairy tale. But on this we agree: that to tell a story about the past is to tell a story about the present. To recount a fantasy, a story of the imaginary, is also a way of recounting a tale about the actual. If this were not true then the deed would be pointless, and we try in our daily lives to eschew pointlessness whenever possible." - Salman Rushdie, Two Years Eight Months and Twenty-Eight Nights. "In the end, rage, no matter how profoundly justified, destroys the enraged. Just as we are created anew by what we love, so we are reduced and unmade by what we hate." Probably 3.5 stars. Don't misunderstand me. I liked the book. I liked its playfulness. The mixture of high and low, of jinn and man, of future telling its past. I loved how it streaks across 1001 days (or nights), a strange myth of the time of strangeness told 1001 years later. How it mixes Harry Potter with Henry James. I loved the cartoon versions of Obama, al-Qæda, etc. 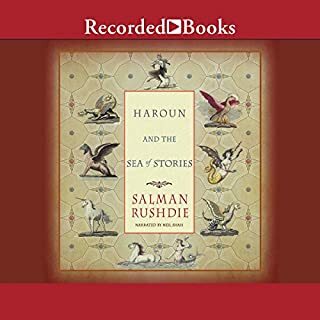 So, yes, it really was a fun read and if these 290 magical realist, baggy, non-linear pages were birthed by some freshman IEL writer just out of some MFA lamp, I would probably call it a great 4-star book, but this is Rushdie dammit. This is the guy who wrote Midnight's Children and The Satanic Verses. You will always be graded by your progeny and against your siblings. Rushdie and his books are no exception. His standard is set and the standard is pretty damn high, so three dark stars for this book, and perhaps one star trapped in some blue bottle somewhere. 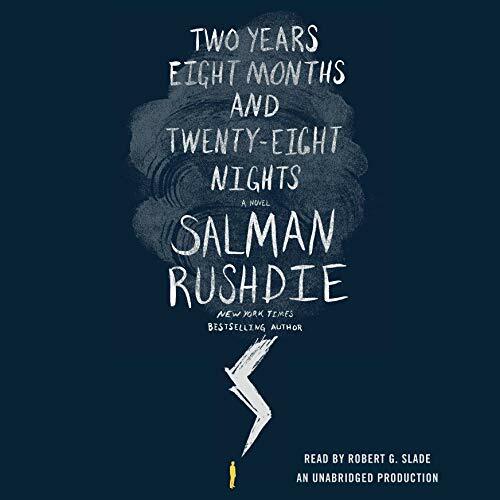 Would you consider the audio edition of Two Years Eight Months and Twenty-Eight Nights to be better than the print version? It's easy to get carried away in the stream-of-conscious flow of writing while it is being narrated to, but It would have been nice to able to go back and forth recalling the many names of characters in this book. I did finish it in two sittings. This is definitely going to be a book I will listen to again. There is so much philosophy being mixed into a clever "fantasy" novel. 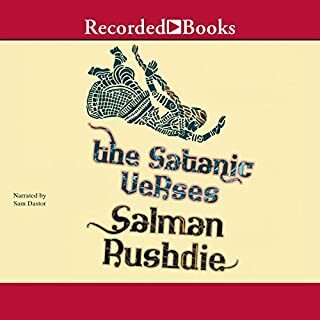 This is my first book by Rushdie and I know I will be checking out the Satanic Verses. Sure, but not for the reasons I'd expected to when I first read the premise of the book. 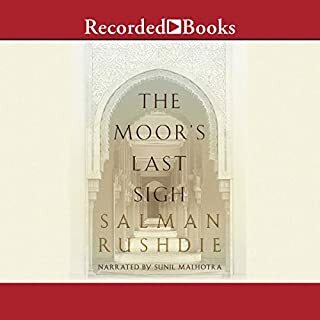 I've heard of Rushdie, of course, and had expected great things from this novel, even though I'd read a few reviews describing it as "middle of the road". Where once I had imagined I'd be recommending a fascinating tale by a notoriously well-respected author, I would now recommend it as an interesting worldbuilding exercise. The tone of the book, for better or worse, is fairly detached and clinical. If there'd been more emotional investment in either the story or the characters, it might have gripped me more. Have you listened to any of Robert G. Slade’s other performances before? How does this one compare? I haven't heard any of Mr. Slade's other works, unfortunately. Great book. Unlike Rushdie's usual books in that it's not depressing and is optimistic for a better world. A bit too long though. However, the narration leaves much to be desired. The broad American accent takes away from the intended experience and atmosphere of the book. And the God-awful (and quite racist) faux-Indian accent that begins the third chapter almost made me return the book. 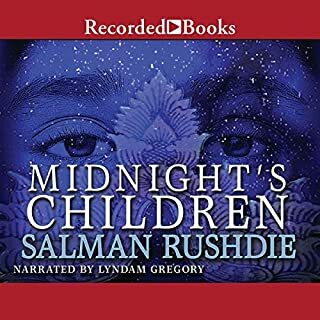 This was my first Salman Rushdie book, and after reading it I purchased Satanic Verses and The midnight children with my own money. I never do that, I blew my book budget for the month because I just had to hear more from him. They way he weaves a tale is mind blowing, it's truly incredible. My only problem is that sometimes I had to rewind because I had missed something, which shows how much I love this book because I HAD to understand what was going on at all times. It's not the kind of book that you can listen to while doing other things, you have to immerse yourself in the strange and wonderful world to get the full effect, a good book for a long car ride. I really cannot praise this book enough. Beautifully written, imaginative story but overly-inflected narration in a broad American accent distracts from the story and the style. My advice: skip the audio and buy the book. This book was a bit hard to follow at times. The writing was an interesting blend of biblical and mythological phrasing with occasionally current colloquium. Some of the nomenclature chosen sometimes detracted from the depth and gravity of the story. Also, the dialogue was often punchy and on the nose. Overall the premise and execution were thought provoking and intriguing. There were just a few hang-ups that made it a challenging story to get into at times. I am a big fan of all Rushdie's books, this is a wonderful tale of humanity, magic and might. Weaving the magic world and the standard in a way that is new yet familiar with his other works. Two thumbs up. Superb entertainment and will have you binge listening.